Lessons stressing spoken English as a second language. 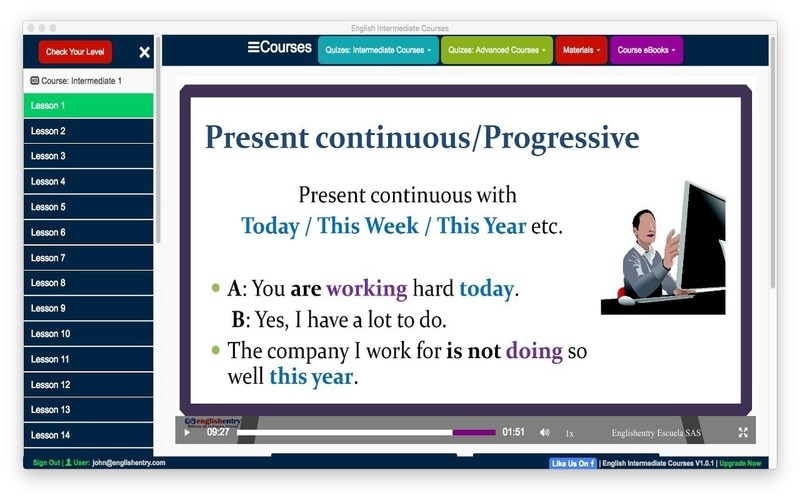 Is there a better alternative to English Intermediate Courses? Is English Intermediate Courses really the best app in Language category? 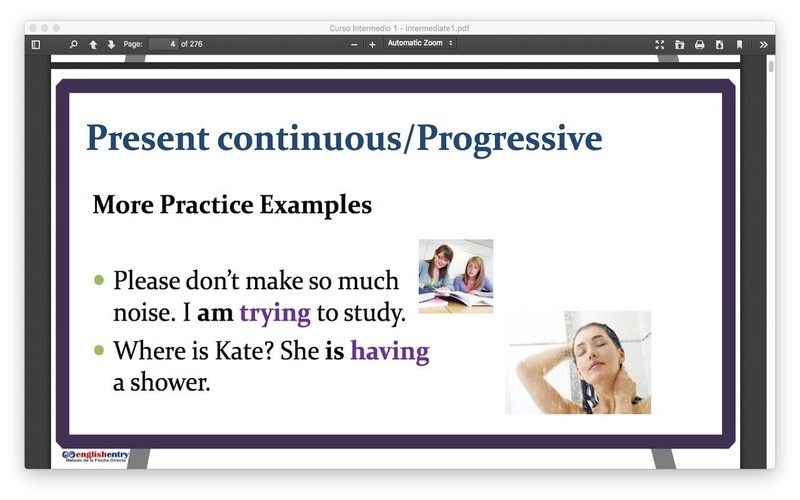 Will English Intermediate Courses work good on macOS 10.13.4? 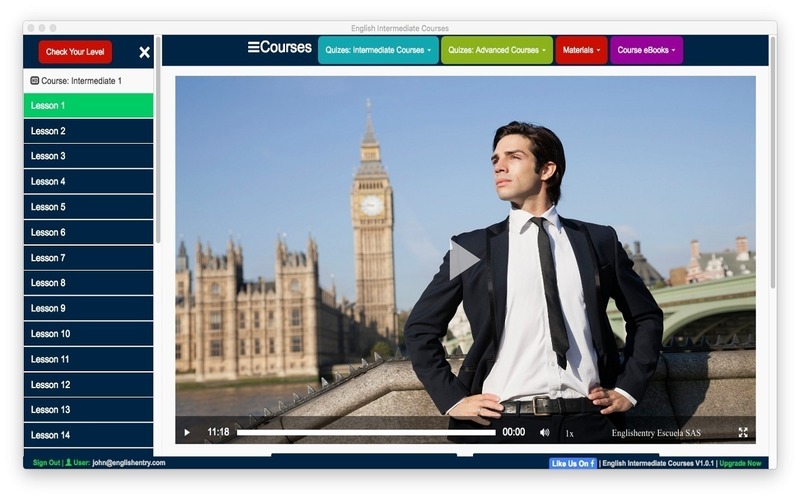 English Intermediate Lessons will walk you through speaking excellent English daily. 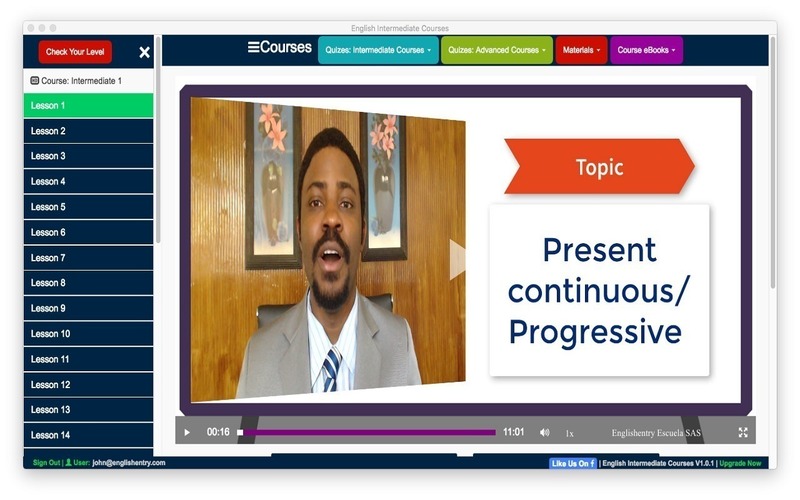 Learn grammar, vocabulary, sentence structure, and communication skills. Refine your English and boost your confidence in speaking. Learn to speak English fluently in a short time. English Intermediate Courses needs a review. Be the first to review this app and get the discussion started! English Intermediate Courses needs a rating. Be the first to rate this app and get the discussion started! The best form of learning is practice. At the end of each lesson, check your progress by completing quizzes based on the topic learned. Quiz activities include grammar, vocabulary, reading, and listening.